Does your hear beat look like this? Then this is for you! Makes sure you share this on Facebook with your friends & family. Get yours now & it also makes a great gift for a loved one. When I saw the Show your Faith necklace I just had to buy it. It arrived today and is beautiful, simple but a bold statement. 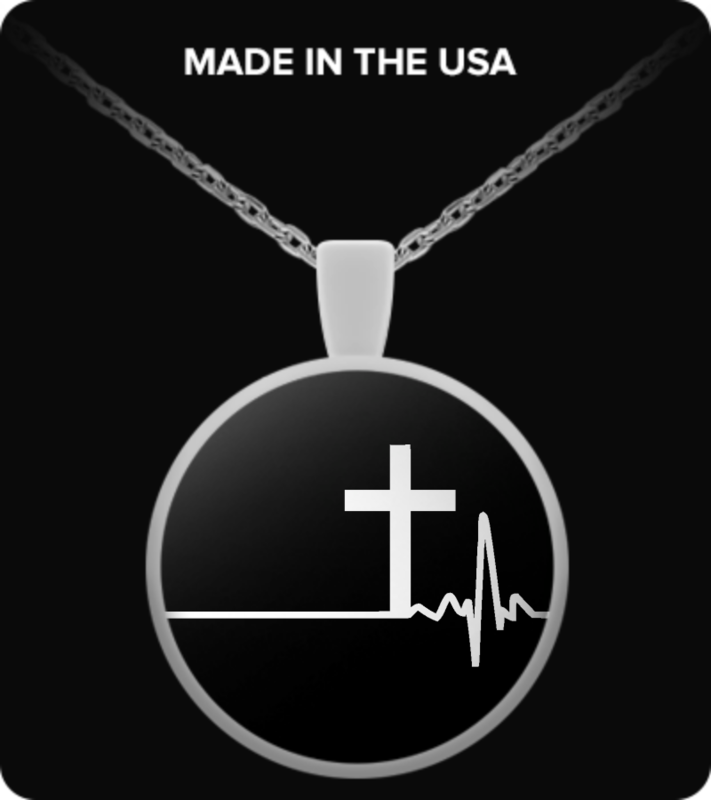 I love this unique necklace - bought 8 more for friends, a pastor, a Christian bookstore manager, and family. It's a great graphic for "...I have come that they may have life..." Jn. 10:10 I appreciate that this is very reasonably priced - I purchased it for the pendant itself. It didn't take long before I was getting a green neck from the chain, so I switched to a sliver chain that I already had. The back of the pendant itself really needs to be a smooth surface - not the swirl design. Why? I discovered that the grooves of the swirl quickly trap body oils and sweat. Cleaning it is awkward at best. I used a Q-tip dipped in silver cleaner, but that only removed some. Then i tried using a SOFT clean new toothbrush, and although it cleaned the grooves, it also removed some of the very thin layer of silverplate (if that's what it was) on the back. I'm cautioning the recipients of the 8 necklaces to be aware of the problems I had. The image on the pendant has caught the eye of many of my friends. It's unique and a real conversation/witnessing starter. Please consider the possibility of a few modifications and then marketing to Christian retail outlets. i anticipate a future for this necklace. Just my opinion/suggestion. God bless you.